The accused, who was the Sri Tanjong candidate for STAR in GE13, was found guilty of two charges under Section 44(1)(b) of Road Transport Act 1987 (Act 333). The Road Transport Act 1987 provides imprisonment for not less than three years and not more than 10 years and fine not less RM8,000 and not more than RM20,000. Tawau Sessions judge Awang Kerisnada Awang Mahmud meted out the sentence. 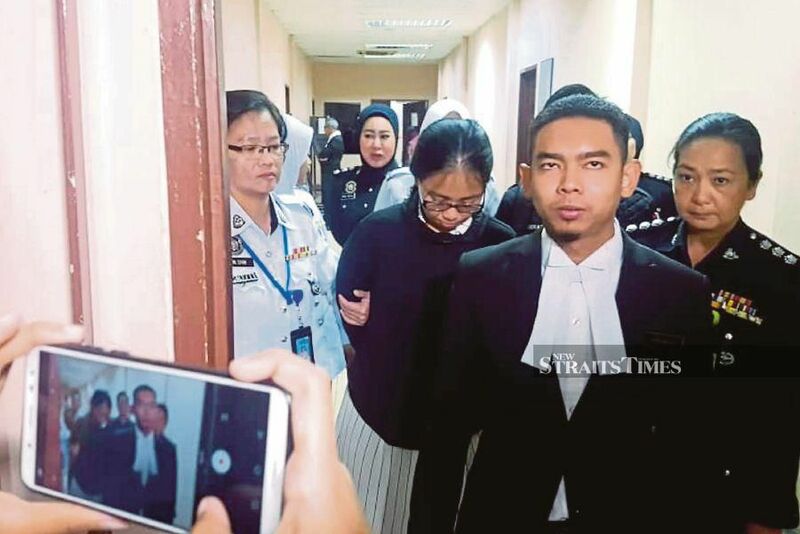 In her first charge for causing the death of four people at Jalan Chong Thien Vun in Tawau at about 1.20am, 8 July, the former politician was sentenced to 10 years in jail and fined RM20,000. She faces another six months jail if she failed to pay the fine. For her second charge of injuring another man, she was sentenced to seven years' jail and fined RM19,000 in addition to six months imprisonment if she failed to pay the fine. The level of alcohol in her body was found to be at 171mg, which is double the amount allowed, according to deputy public prosecutor Wan Muhammad Fitri Wan Azizan. Olivia's car, after it skidded into the opposite direction, rammed into three parked vehicles and several members of the public at the scene. The four whose deaths the former STAR politician was found to have caused were Hiew Nyuk Wei, 30; Clawence Wong Vun Kit, 21; Dicson Lim Kien Shing, 16; and Chong Wei Chan, 21, while another victim, Chin Guan Xiong, 21, suffered a broken leg. 21-year-old Chin Guan Xiong was active in sports. Tawau Sessions Court judge Awang Krisnada Awang Mahmud, while meting out the sentence on Olivia, said that the accused was "terribly irresponsible in consuming alcohol past the legal limit"
The accident occurred at 1.20am, at a time when there are not many vehicles on the road, and it involved five victims, four of whom lost their lives while the other sustained serious injuries. 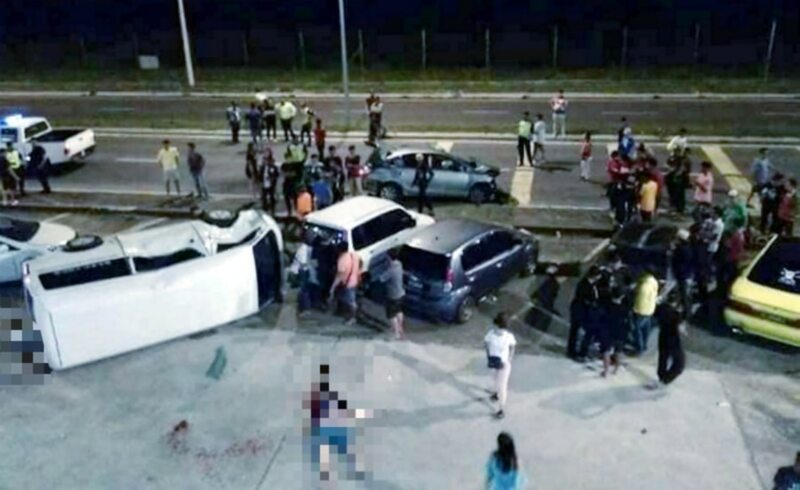 "In meting out a sentence, the court has to take into account public interest as well as that of the families of the victims who lost their sons and husbands because of this accident," judge Awang said while passing the sentence, reported NST Online. Meanwhile, the sessions court rejected defence counsel Abdul Ghani Zelika’s application for a stay of execution pending appeal, reported NST Online. There are flaws in the way the research was conducted. It also said that Harith claimed Najib Razak was his silent partner.